Serving New York State's full service title search and insurance needs since 1984. Premium: 20% of the unreduced owners premium. For losses exceeding ten percent of the Amount of Insurance, the Company will not require, prior to making a claim, either acceleration of the indebtedness or the exercise of remedies against other collateral. Requirements: Insured in connection with multi-site transactions (Loan Policy). Premium: 10% of the unreduced mortgage premium. Premium: $1.00 per $1,000 of the joint and several coverage per coinsurer. Premium: $25.00 for Endorsement 1. No charge for Endorsement 2. Premium: 10% of the ALTA Owner's policy premium or 5% of the policy premium for an Owner's Extended Protection Policy. Premium: 30% of the premium paid for the related Owner's policy. Insures that the Company will not deny liability to the insured by reason of knowledge imputed to it through a partner, shareholder, or member by operation of law. Requirements: Issued with an Owner's policy insuring the interest of a person or entity purchasing an interest in a corporation, partnership or other entity which owns real property. The amount of insurance may not be less than the value of the real property apportioned to the purchaser's percentage interest in the entity. Affidavits of the persons whose knowledge is in question and indemnities in support thereof are required (Owner's Policy). Premium: 20% of the Owner's policy premium. Insures the validity and enforceability of an option to purchase. Requirements: The option or memorandum of option must be recorded (Owner's policy). Premium: The policy to be issued at regular fee policy premium rates must be in an amount not less than the down payment specified in the contract to an amount not exceeding the contract price and the cost of contemplated improvements and other development and construction costs. The premium for the endorsement when issued with a policy without a TIRSA Leasehold or TIRSA Cooperative endorsement is computed at the regular Owner's policy rate. When the policy includes a TIRSA Leasehold or TIRSA Cooperative endorsement, the charge is 30% of the regular Owner's policy rate for the insurance not exceeding the amount of the Owner's policy. Continuation searches to downdate the policies are $200 each. Affords assurances that a previously insured mortgage remains a valid and enforceable lien notwithstanding the release of part of the mortgaged premises and that the priority of the insured mortgage is not affected thereby. Requirements: Review of Release and existing policy (Loan Policy) . Affords assurances against outstanding common charges and assessments, rights of first refusal to purchase, and against the consequences of either an encroachment of a unit or a violation of restrictive covenants. Requirements: Provide any required waiver of a right of first refusal and consent to mortgage. Confirm that there are no outstanding common charges or assessments. (Owner's and Loan Policies). Affords assurances in connection with recorded covenants and restrictions, easements and rights of way. Requirements: Mortgage must encumber one-to-four family residential property. An updated, certified survey is to be reviewed in conjunction with recorded easements and restrictive covenants (Loan Policy). Insures the priority and enforceability of the lien of a Reverse Mortgage as security for the payment of principal indebtedness, shared appreciation, and accrued but unpaid or compound interest. Provide a means to determine policy liability in the event of a loss. Requirements: Compliance with Real Property Law Sections 280 or 280-a. 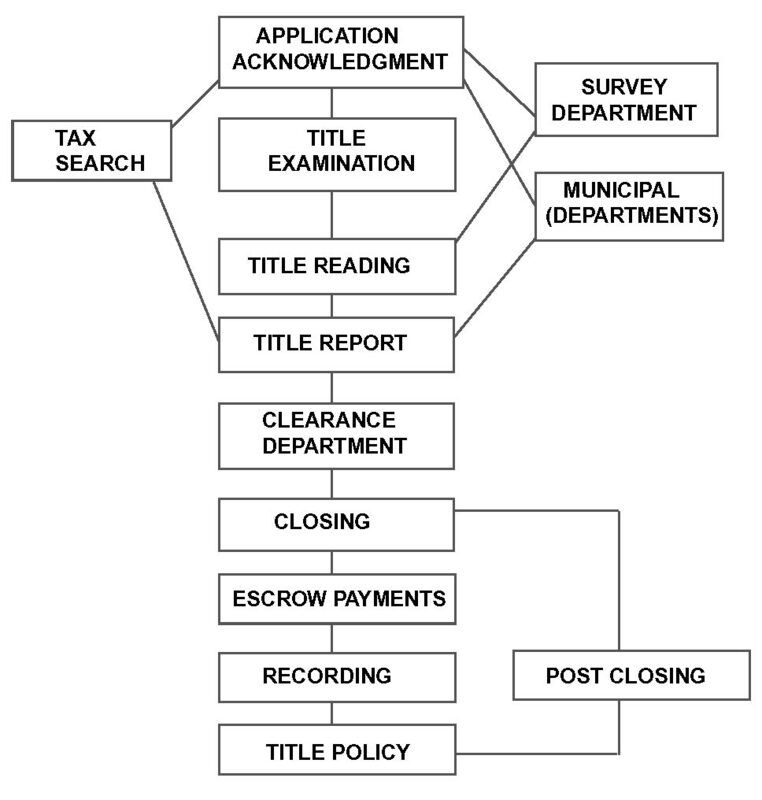 Mortgage recording tax exemption affidavit must be provided (Loan Policy). Assures that a credit line mortgage will not, except as to matters noted in each endorsement, lose lien priority as loan proceeds are advanced and readvanced, so long as the insured lender has no actual knowledge of the sale or transfer of the property and there has been no event of default. RCE-1 and RCE-3 afford protection against mechanics liens. RCE-1, RCE-2 and RCE-3 insure against mortgage tax being imposed after the aggregate amount of advances exceeds the face amount of the mortgage. Requirements: Compliance with Tax Law Section 253-b and Real Property Law Section 281. To issue RCE-1, and to comply with the Tax Law, the mortgage must encumber a one-to-six family, owner-occupied residential property. To issue RCE-3, the mortgage must be for a term of no more than three years and not be a building loan mortgage (Loan Policy). Affords the benefits of the policy as of its original date to the purported assignee of an insured mortgage. Insures against loss or damage by any violation, variation, encroachment or adverse circumstance that would have been disclosed by an accurate survey. Requirements: Land must be used as a one-to-four family residence. A survey affidavit is required (Loan Policy). Online orders are paid through our holding company, Orange Abstractor Services Co.